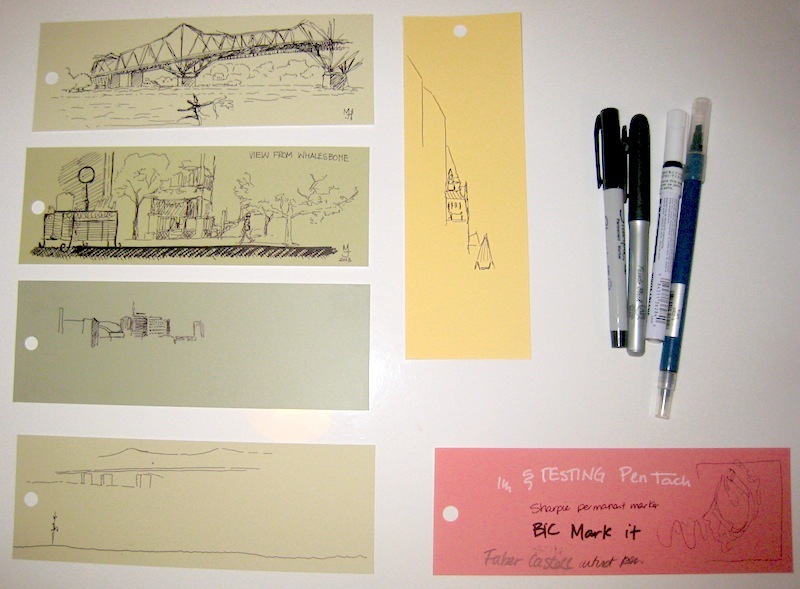 I'm testing a new idea for some of my urban sketches, using paint chips as a my "canvas". It's an interesting way to "add colours". These are my first few attempts. I've been able to complete two so far using permanent markers. 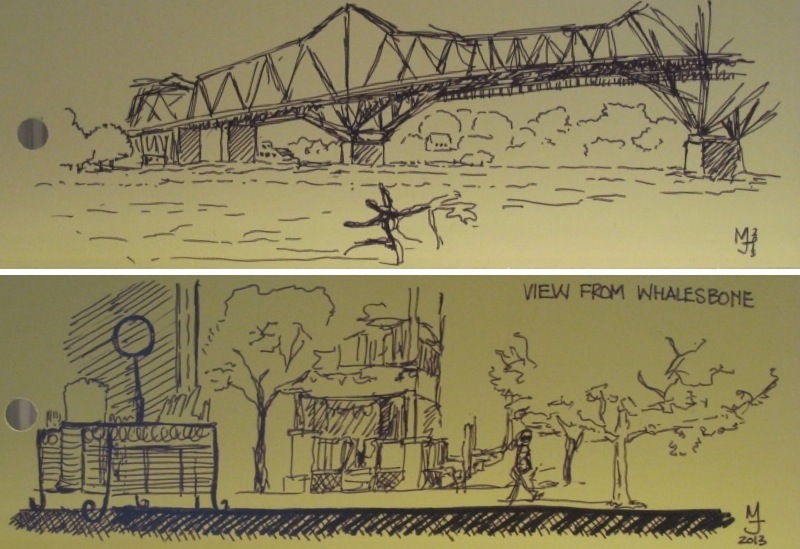 The first completed one is a view of the Alexandria Bridge over the Ottawa River. While I was drawing it I met this old Metis man who was really happy to see me draw with Newton and told me about a tipi that's along the river near another bridge that I should check out. He also showed me how to write "Inuit", "Nunavut" and "Nunavit" in Inuktitut syllabics. It's a writing system used by the Inuit in Nunavit and Nunavik, Quebec. So I have also have neat symbols in the back of that paint chip, which makes it more special. The second one is the view from the window of Whalesbone Fish Supply shop. I did it while waiting for our brown bag lunch.